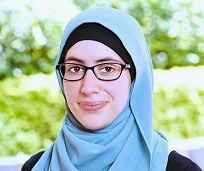 Fathia is a solicitor and works out of our Parramatta Central office. She has been with Raftons for the past 2 years and helps our legal aid clients in the areas of Family Law and mediations. Prior to completing her law degree Fathia worked as a para-legal in family law. Fathia brings her calm and compassionate personality to assist our clients in this time of stress. Fathia also speaks fluent Arabic.